The first multimedia product marketing training program shows you how to get your product into the market, create marketing programs, and generate sales. Full of tips, tricks, and examples that simplifies and demystifies product marketing. 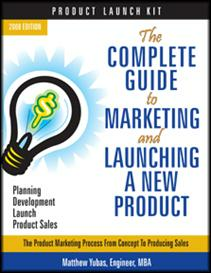 Includes the three ring binder marketing guidebook, marketing DVD, and marketing templates.